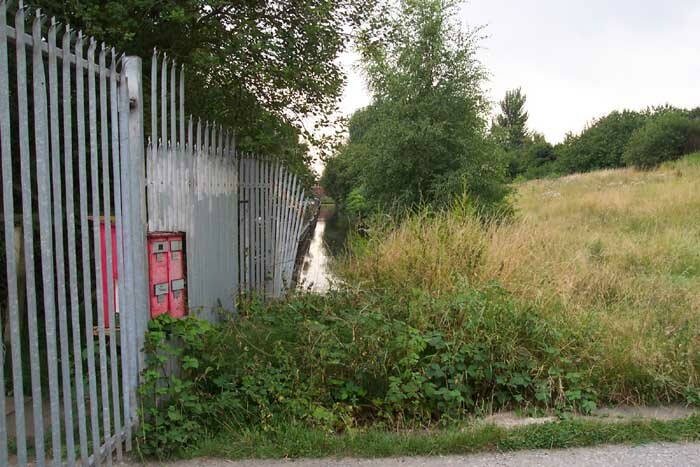 Withymoor Goods Station, also known as 'Netherton Goods', lay at the end of the GWR Withymoor Branch which itself was a spur from the Bumble Hole line at Baptist End. The station opened in 1879 and closed to traffic in 1964. 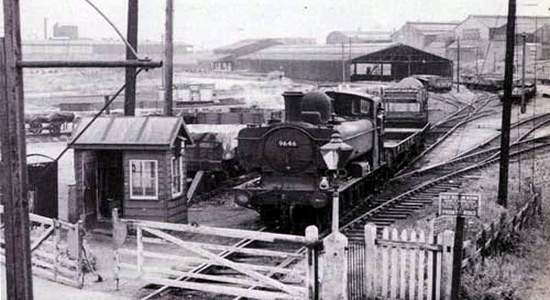 The station served as a transhipment site as it stood next to the Birmingham Canal and a wharf was established linking the two modes of transport for the exchange of local produce such as iron products and coal. Above we see Northfield Road level crossing looking back at Withymoor Goods Station in the early-60s (photo: Ned Williams). 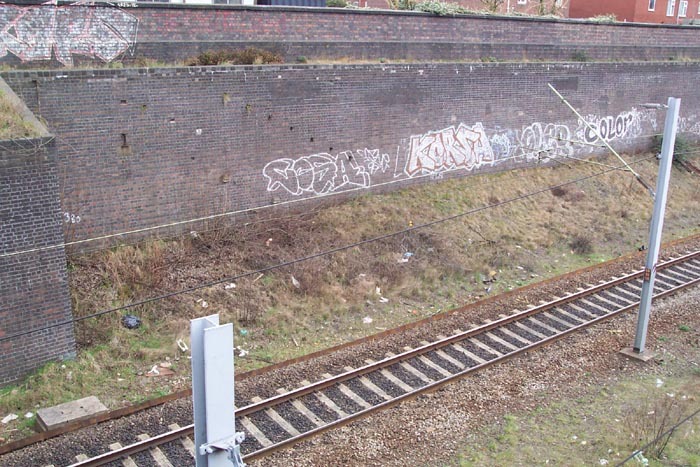 Above-left we see the site of the old station to the right and, just discrenible, to the left we can see part of the canal spur created as a wharf to the railway (runs alongside the line of the fence). Above-right we are looking to the left of the previous picture seeing the line of the old trackbed wander off towards Northfield Road with the canal to our right - the train seen at in the picture at the top of this page would have been just ahead of us on the line of the path with the level crossing roughly where the industrial unit is to the left of the shot. 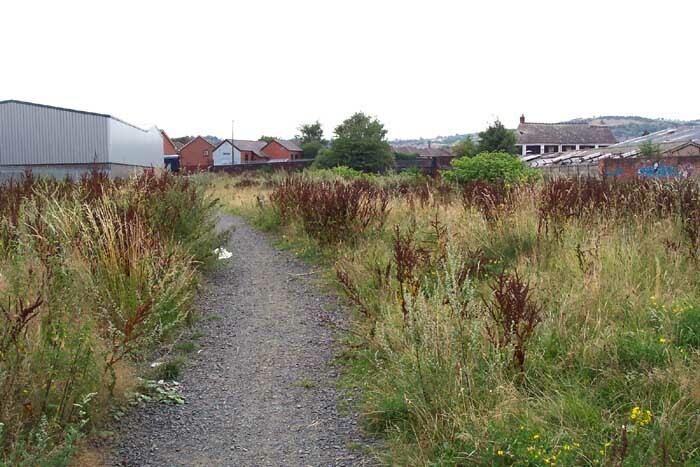 Unfortunately, no traces of the railway and station appear to exist at the site itself which is now just an overgrown field as seen above.